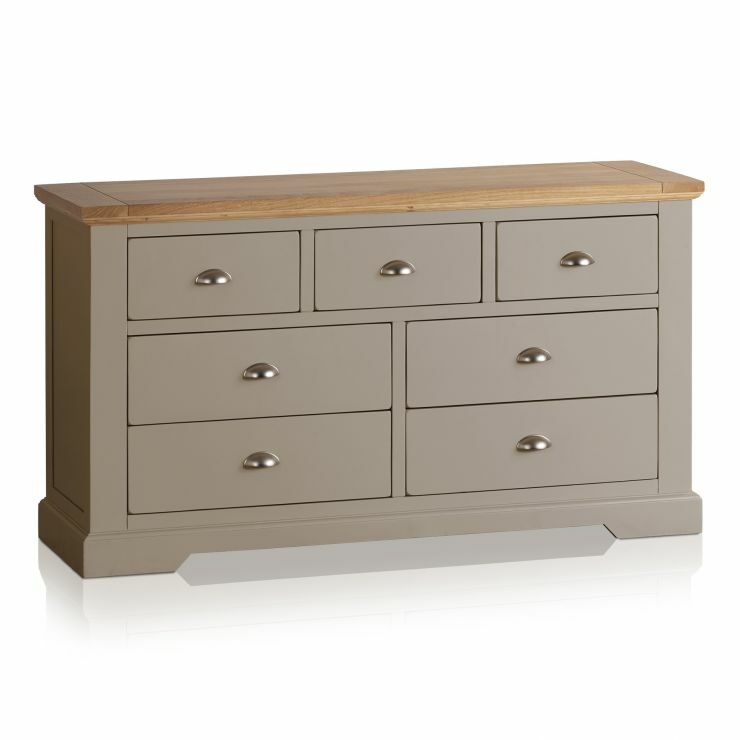 The St Ives 3+4 grey chest of drawers is an attractive piece of furniture that will add personality to your living room, hall, or bedroom. 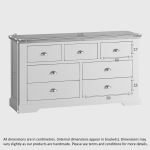 Three drawers span the width of the cabinet, with four deeper drawers beneath, plenty of space for storing clothes or other effects in your home, wherever required. 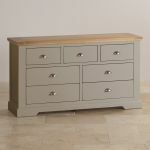 The drawers have strong dovetail joints. 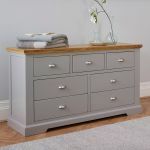 This exquisite grey chest of drawers has also solid hardwood in the backs, bases and sides, ensuring your gorgeous new furniture lasts a lifetime. 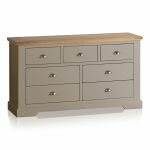 As with all Oak Furniture Land collections, furniture is made to match across the St Ives range, with pieces for any room in your home. 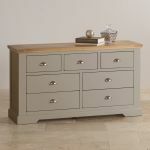 Look through the rest of the collection and see how you can pull together a modern painted style in your home with our St Ives signature collection of grey furniture.